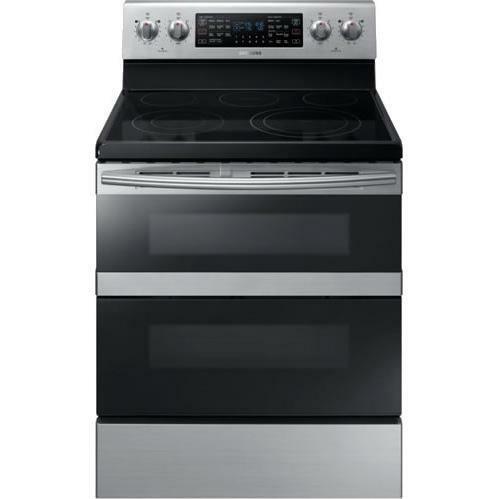 This Samsung Flex Duo™ freestanding electric range features a 5.9 cu. 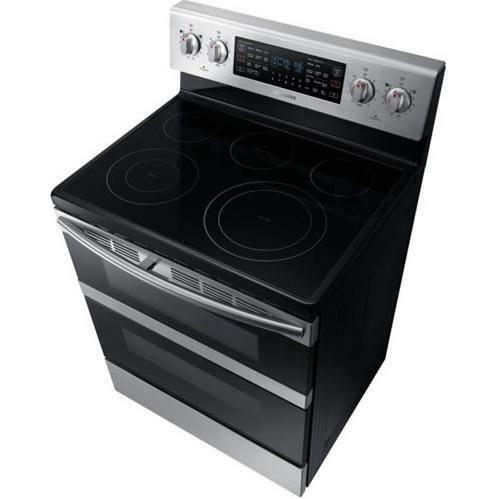 ft. oven capacity, dual fan convection, Wi-Fi connectivity and steam&self clean. 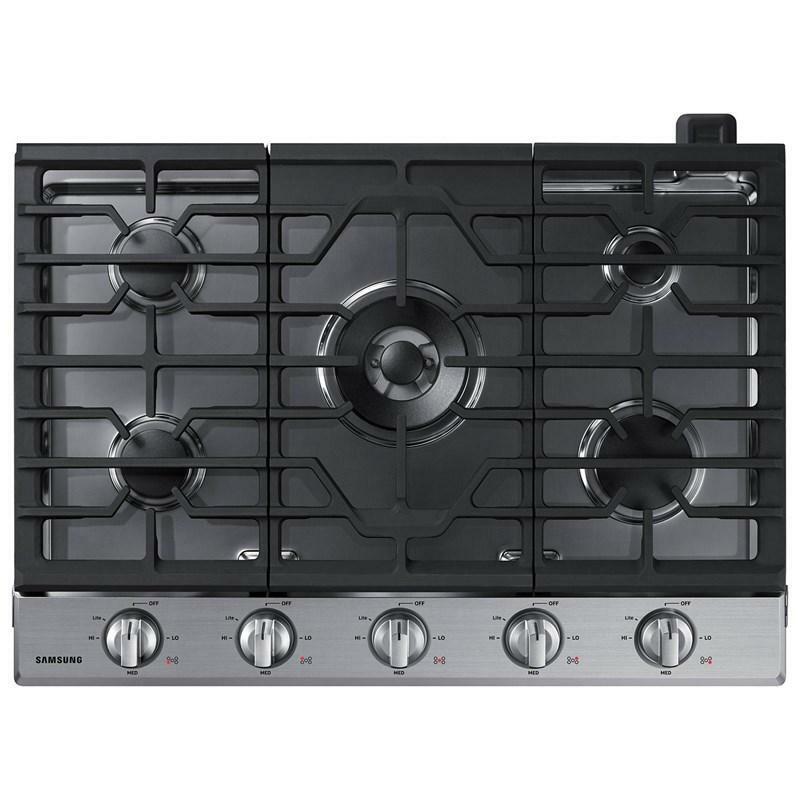 With its wide view window you can check cooking progress without opening the door and losing heat. 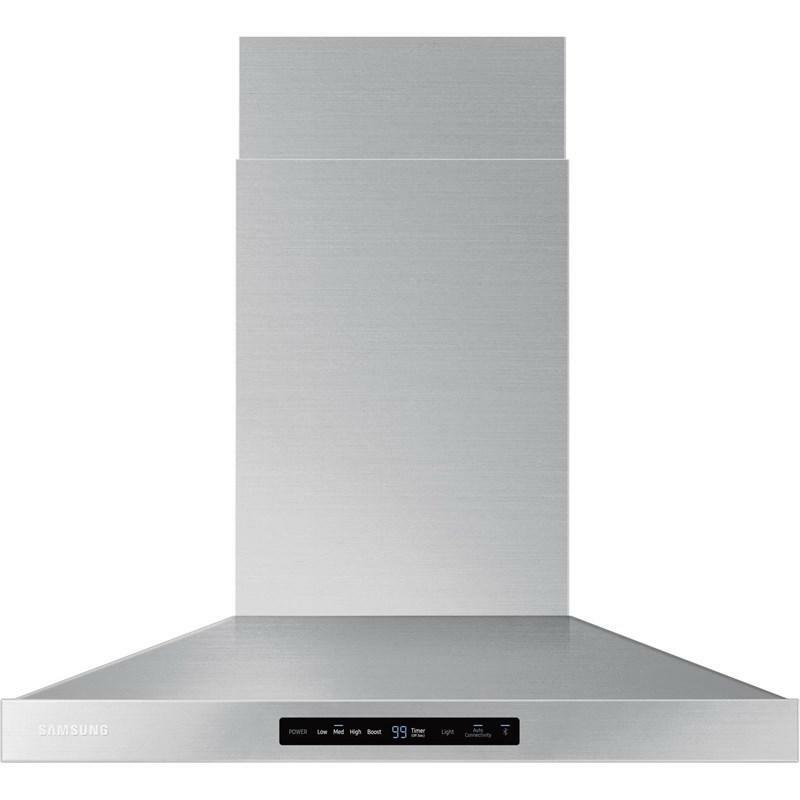 Cook food faster and more evenly with the Flex Duo Oven’s Dual Convection system, which allows convection cooking in both ovens. 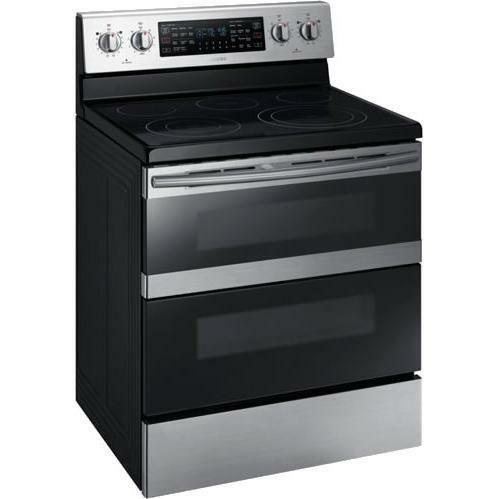 In single oven mode, the entire oven is Dual True Convection. 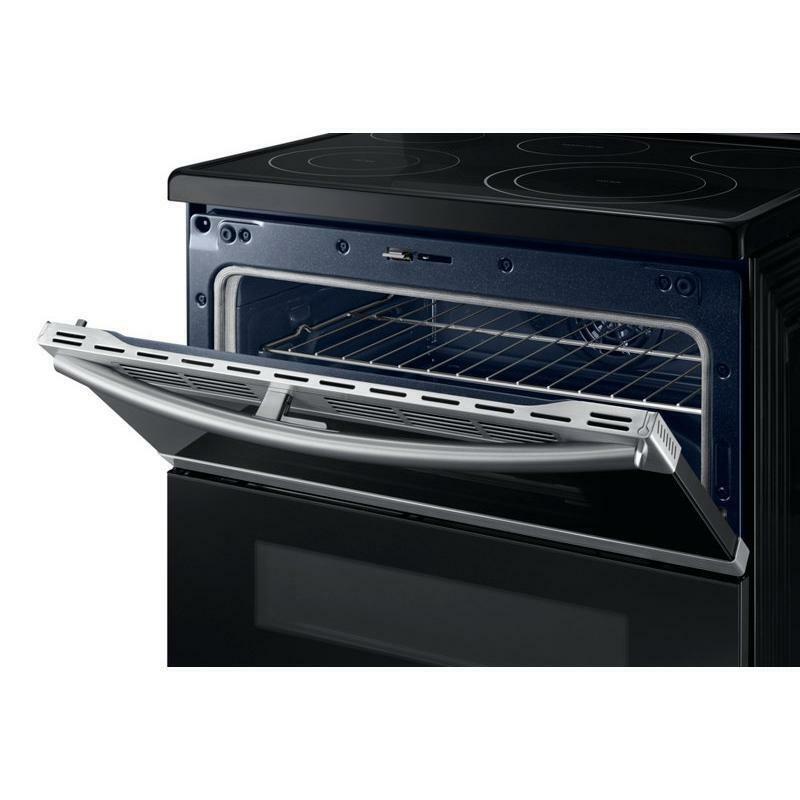 In dual mode, the top oven is Fan Convection and the bottom oven is True Convection. 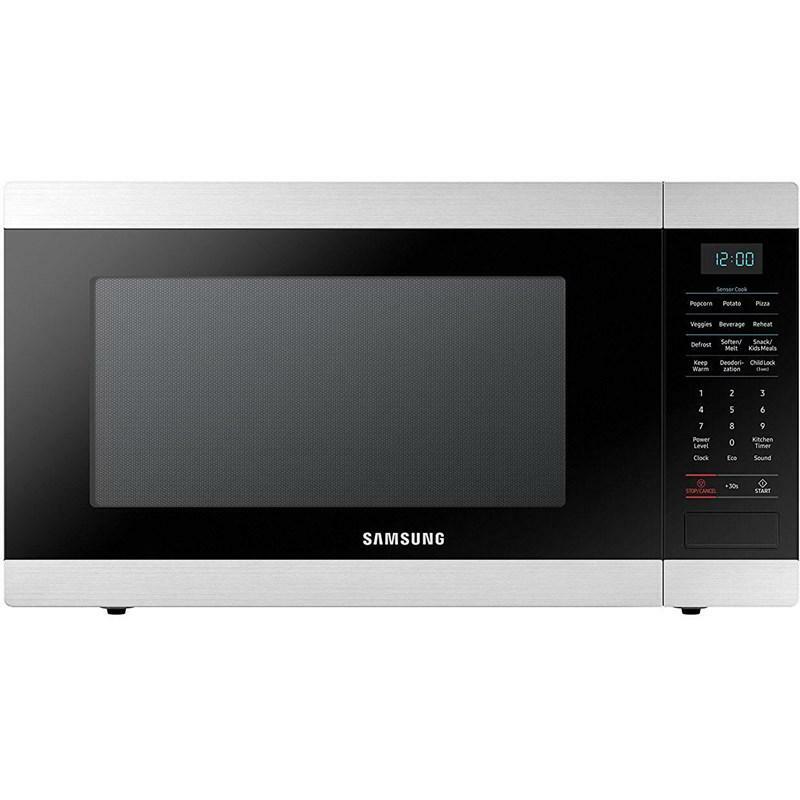 Remotely monitor your cooktop and oven for peace of mind. 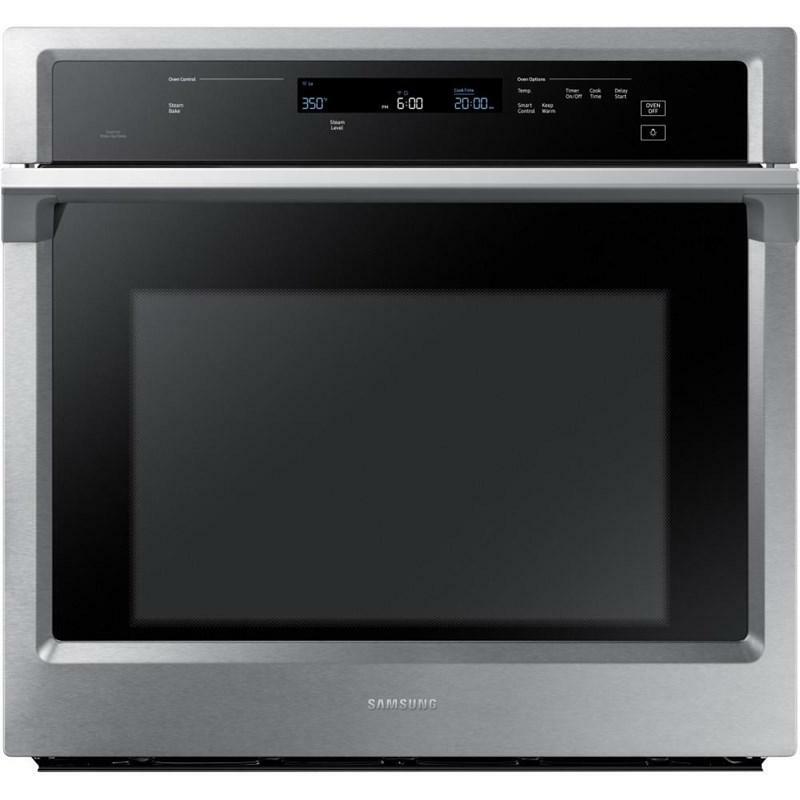 Remotely turn on/off, preheat, and adjust temperature or time on your oven for ultimate cooking experience. 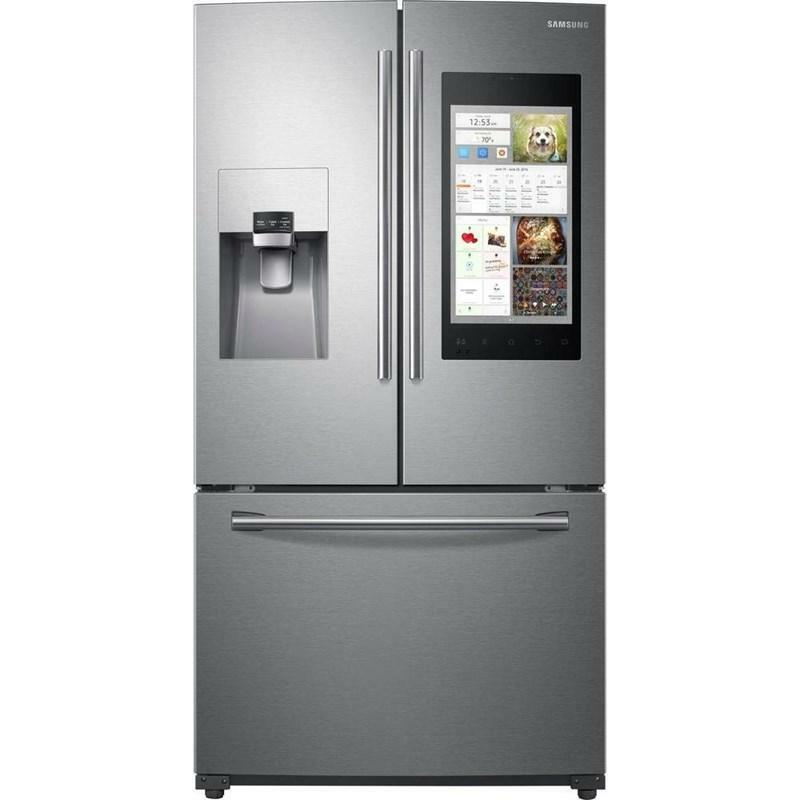 *As a safety precaution, remote start function only available on the Electric Range. 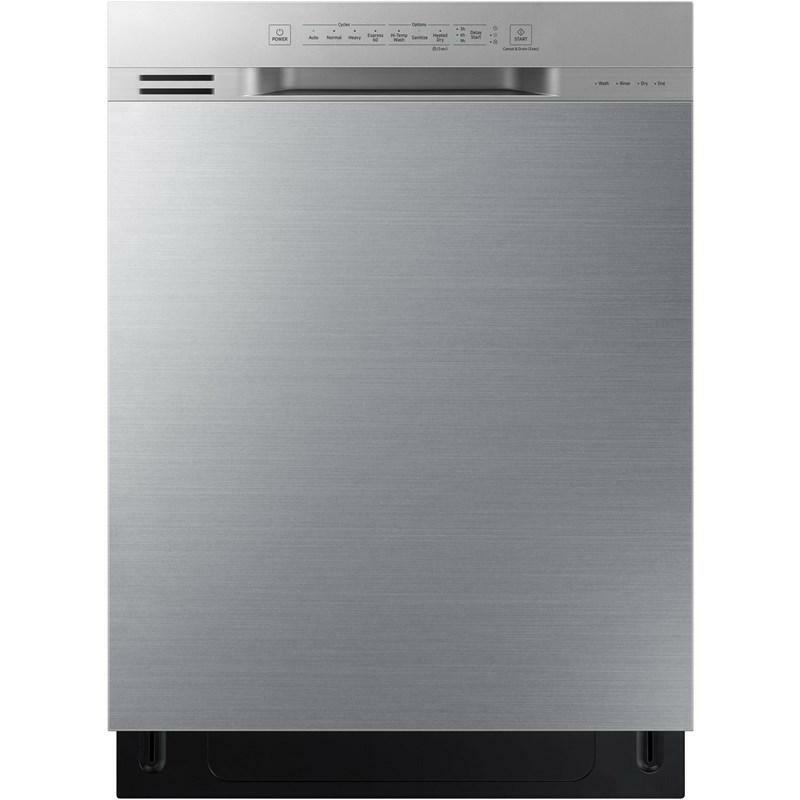 Burner/Element Size • Left Front 6"/9"
This Samsung 24-inch dishwasher features a hybrid tub, a 3rd rack, touch control and can accommodate up to 15 place settings. 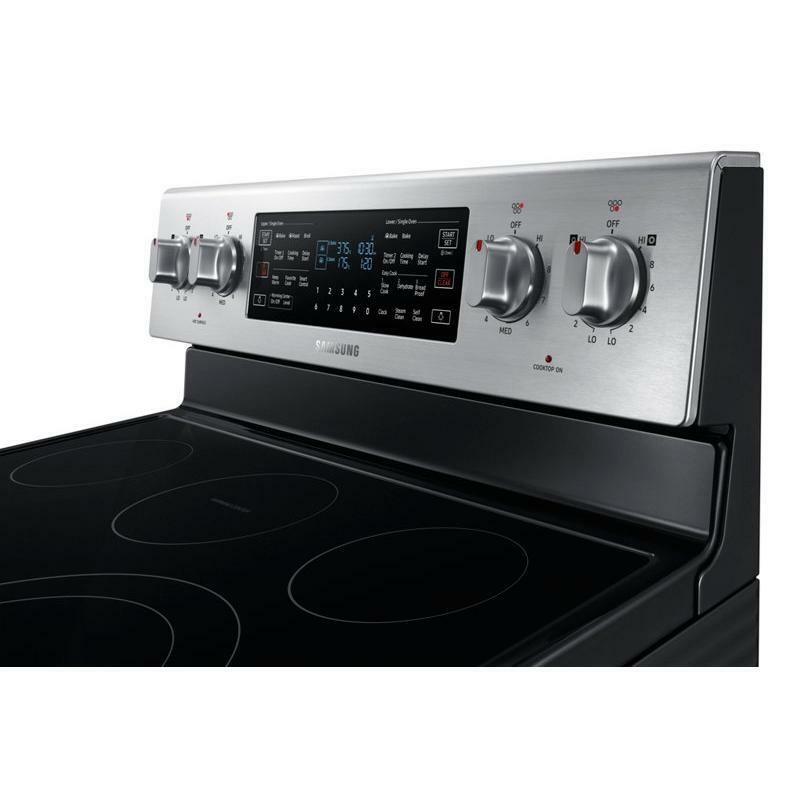 This Samsung 30" gas cooktop features 5 sealed burners, dishwasher-safe grates, burner on/off monitoring and includes a LP conversion kit. 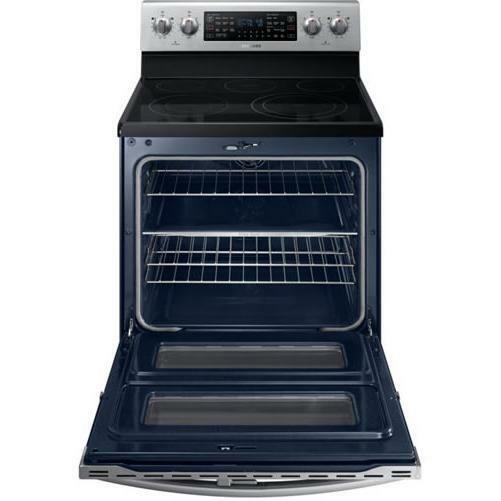 Sealed Burners prevent food from dropping into the burners, for easy cleanup.